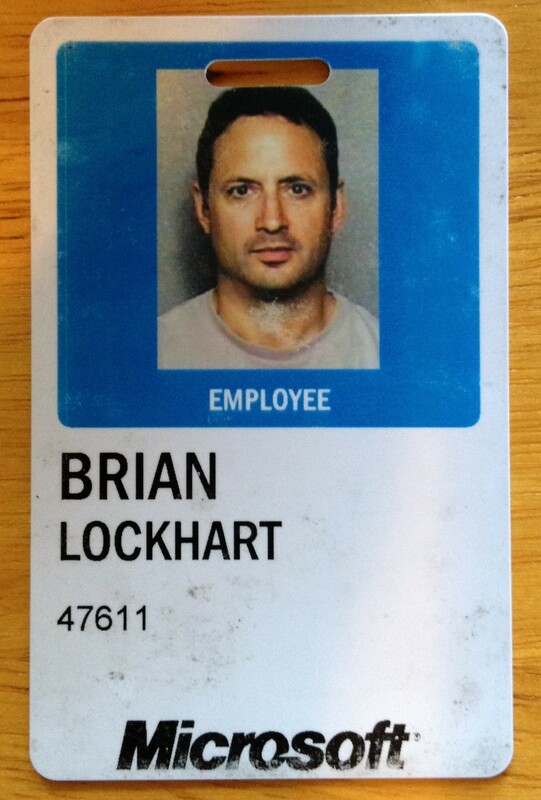 After a great 15 years I’m leaving Microsoft– my last day at the company is Friday September 14, 2012! Just over 15 years ago (June 30, 1997) I moved to Seattle to come work at Microsoft. I wanted to be part of the rapidly growing “consumer internet space”; I saw the rapidly rising rate of non-computer-nerds (aka normal people) suddenly getting email addresses and using the internet, and wanted to be part of that shift as the internet changed the way we all live. I knew it was going to be a huge shift – what was once the domain of computer nerds was rapidly becoming mainstream; I knew I needed to be part of that rollercoaster ride! Microsoft offered an excellent opportunity to not only ride the rollercoaster, but to help design and build it. 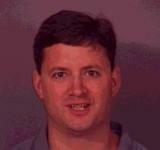 Here’s the photo they took for my official Microsoft employee badge on June 30, 1997 – young, dumb, and happy! That there is a genuine look of amazement that Microsoft actually hired me. Watching everyday people use and enjoy technology I helped create has been hands down the most rewarding aspect of my career so far, and I’m honored to have been part of Microsoft’s success in bringing technology beyond the office and into the living rooms and laptops of people at home. I’ve had an amazing experience at this company, and along the way I’ve learned more than I ever imagined – I’m extremely grateful for the opportunities that have been given to me, the people I’ve met, and the work we’ve accomplished together. But the time has come for me to explore new opportunities and engage in what I believe is one of the next big “shifts” in how the world uses technology – Big Data and Data Science. 1) I’m joining Tableau Software – a mid-stage startup headquartered in Seattle. They’re a market leader in data visualization software, and they are growing like crazy riding the “big data” wave as more and more people demand cross-platform tools to help them make sense of their data. We’re in an era where there’s tons of data being produced and gathered by every device and service on the internet, but it’s still far too difficult to make that data into something that’s useful for most people. Most companies with tons of data employ teams of BI (business intelligence) analysts to wade through it all. But Tableau’s mission is to advance the state of Business Intelligence – to “democratize data analysis”, and help non-BI-nerds gain deeper insights and tell stories with their data. It’s an exciting and transformational time in the computing industry as every device and service becomes interconnected and sharing data with each other, and more and more information workers look for value in that data. Tableau is poised to take advantage of this shift, and I’m very excited to be a part of it. 2) I’m also growing a small “data centric” startup of my own – SufferHub. It’s an online fitness data tracking + game service, using GPS-based fitness + biometric data (think Strava meets NikeFuel, but using GPS location plus heart rate and power data to keep score). I’ve been a fitness enthusiast (especially cycling) for most of my life, and as technology has infiltrated my favorite sport I’ve been fascinated with the data analysis that is now possible with consumer-grade tracking and measuring devices, as well as the possibilities for adding gaming mechanics to that data. What started off as a tiny personal hobby / coding side project has grown to the point where I’ve built SufferHub up to “working prototype” phase, now it’s time to hire a few real developers to take it to the next level over the winter in preparation for a larger scale launch next spring. If you’re a cyclist, runner, or hiker and own a smartphone or Garmin fitness device, check it out and sign up for the Beta! To my coworkers (both past and present): thanks to everyone I’ve had the pleasure to work with during my *excellent* tour of Microsoft! I’ll see you around, either online or roaming around the Seattle area and beyond. It’s a small town and a small industry, and I’m sure we will cross paths again. To my non-computer-nerd friends and family members who have been there for me as my life and career have evolved and changed over the years: thanks for patiently listening to me ramble and rant about all things tech related from Microsoft over these past 15 years – my rants will change focus somewhat and the brand names and methodologies will differ, but I’m still glad to be one of the computer nerds in your life. Rest assured I’m still focused on bringing technology to the mainstream, and I’ll continue to drag you into computer nerd-dom with me every chance I get! You have some great accomplishments there… and I can thank you for helping me game on Xbox when I was a kid haha! Great article.